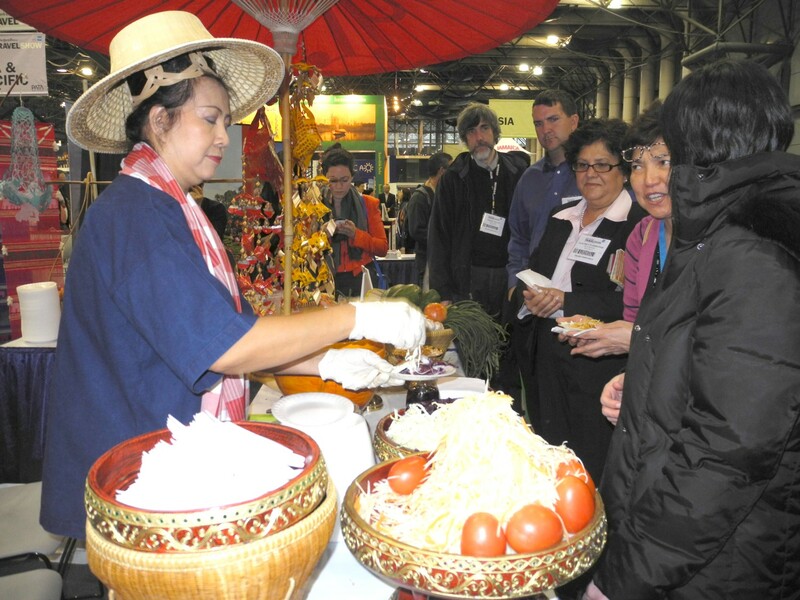 The 11th annual New York Times Travel Show will be held February 28 – March 2, 2014 (Friday – Sunday) at the Jacob K. Javits Convention Center in New York City. The Travel Show will feature nearly 500 exhibitors representing more than 150 countries and will focus on family, adventure and cruise line travel. American Express, the founding sponsor of The New York Times Travel Show, has participated since the show’s inception. Exclusive Travel Discounts. Offers will include on-site-only vacation discounts and travel packages from sponsors and exhibitors. Travel Seminars with the Experts. Travel experts from television, radio, the leading travel blogs and The New York Times will take questions and offer tips in over 45 on-site seminars, including Pauline and Arthur Frommer, Julia Dimon, Brian “The Points Guy” Kelly and Peter Greenberg. Family-Friendly Activities. The show will feature an interactive area with opportunities to climb with a 24-foot rock-climbing wall, bungee jump on a giant trampoline, and meet animal ambassadors from SeaWorld Parks & Entertainment among other activities for attendees of all ages. International Food and Wine Tastings. Doug Duda, A&E International Network’s “The Well-Seasoned Traveler,” will host discussions and demonstrations for the culinary traveler. At the “Taste of the World” culinary stage, the audience will be able to sample exciting food and wine from around the globe. The Travel Show will begin with a trade day for industry professionals on Friday, February 28. Travel Industry Conference sessions will be held from 8am until 5pm ET. The exhibition hall will be open for exclusive viewing by travel trade professionals until 7pm. The event will be open to consumers on Saturday, March 1 from 10am until 6pm and on Sunday, March 2 from 11am until 5pm. The Travel Show will be held in Hall 3D & E located on 11th Avenue at the 34th Street entrance to the Jacob K. Javits Convention Center. For more information, visit www.NYTimes.com/TravelShow.